Cirrhosis is late-stage liver disease which occurs when scar tissue (fibrosis) replaces healthy tissue. 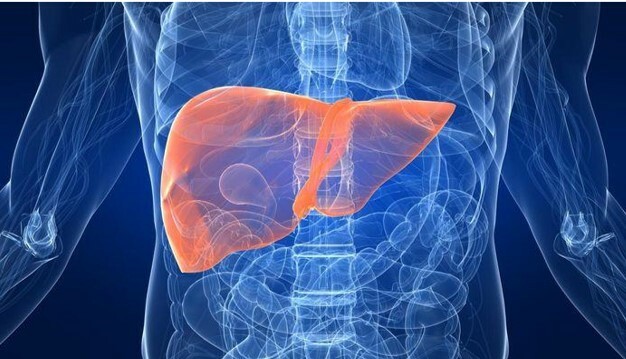 Alcohol and viral hepatitis B and C are common causes of cirrhosis, although there are many other causes including non-alcoholic fatty liver disease (NAFLD) and non-alcoholic steatohepatis (NASH). The incidence of liver disease and liver cirrhosis is increasing driven by unhealthy lifestyles, obesity and ageing populations. NAFLD (Non-alcoholic fatty liver disease) and NASH (non-alcoholic steatohepatitis) are both closely associated with diabetes and obesity. NASH is a “silent disease”, which means it is difficult to diagnose until the disease is significantly developed and therefore intervention at an early stage to prevent the fibrosis and scarring is clinically challenging. Management of ascites is based on a low-sodium diet and diuretic treatment. When drug therapy and dietary restriction are no longer effective, the common treatment is paracentesis, an invasive procedure in which a large-bore needle is inserted into the abdomen, to drain the fluid over a period of a few hours. 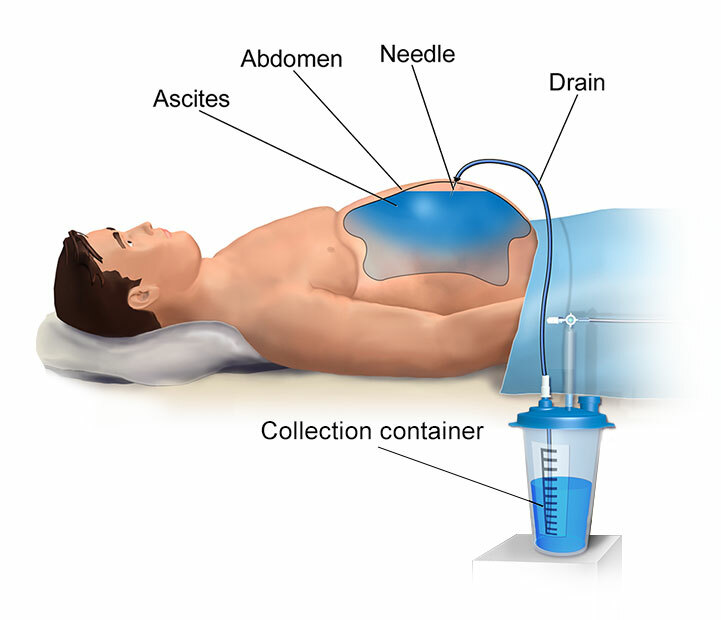 Paracentesis of more than 5 litres is referred to as large volume paracentesis (LVP). Recurrent or recidivant ascites is a severe stage prior to further progression to refractory ascites and is defined as ascites that recurs on at least 3 occasions within a 12-month period despite prescription of dietary sodium restriction and adequate diuretic dosage. 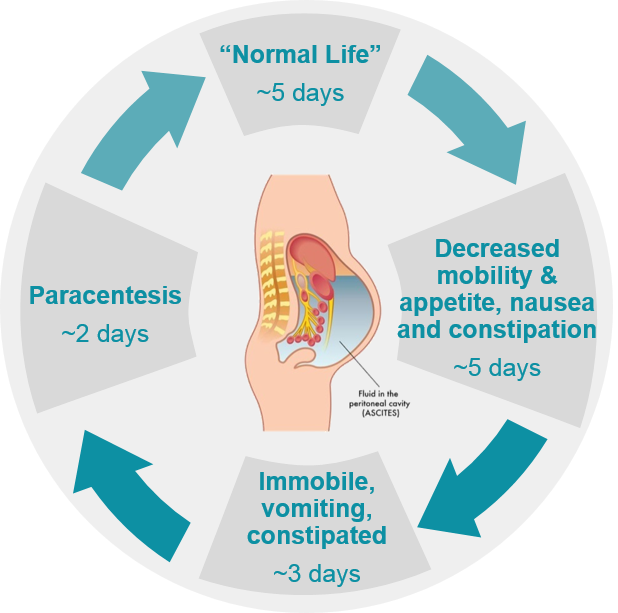 Ascites has a dramatic negative impact on patient quality of life including difficulties in eating, moving, breathing and sleeping. Patients with ascites suffer from malnutrition, withdrawal from society, nausea, serious infection risks, swelling and tension. Patients may accumulate as much as 10-15 litres of ascites every 15 days. When large quantities of ascites accumulate in the abdominal cavity, the sheer volume of liquid puts pressure on the surrounding organs such as the bladder, stomach and even diaphragm. In addition to making it difficult to move around, common symptoms include fatigue, shortness of breath and some pain. Pressure on the stomach can lead to loss of appetite and heartburn, ultimately resulting in malnutrition, and constant shortness of breath can limit a patient’s capacity to perform even minor everyday tasks. Too much pressure inside the abdomen can lead to the development of hernias around the belly button or in the groin. Patients with ascites are also at high risk of other complications, such as severe internal infections and kidney problems. Until the alfapump, treatment options for refractory ascites have been limited and unsatisfactory for some patients, leaving both patients and doctors in need of a better solution. The EASL (European Association for the Study of the Liver) clinical practice guidelines provide treatment recommendations for the management of patients with decompensated cirrhosis, including the use of the alfapump since April 2018. The standard of care for refractory ascites is LVP with albumin infusion to decrease the risk of paracentesis-induced circulatory dysfunction. 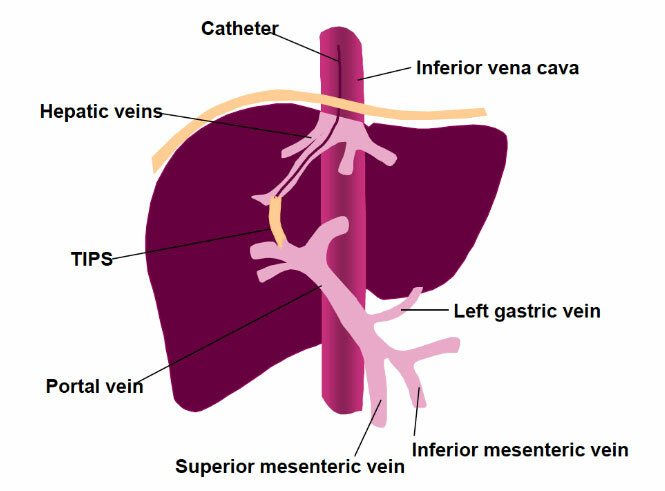 Although LVP is generally considered safe, it is a painful and burdensome procedure which only provides short-term symptomatic relief as it needs to be repeated when the ascites re-accumulates. In the meantime the patient is left feeling bloated and unwell as the fluid continues to collect, which together with the regular visit to the hospital severely impacts the patients’ quality of life. The repeated procedures are also a significant cost and burden on healthcare systems. As a result, TIPS carries significant risks for patients over 65 years old, which many patients with ascites from NASH are forecast to be. The only cure for liver disease is a liver transplant. Liver transplants are very limited in availability and result in large healthcare costs. Lifelong use of immunosuppression drugs is required to reduce the risk that the recipient’s body will reject the transplant.